Replace boring text attributes with stunning visuals. This Magento extension would come very handy if you have a beauty, fashion, luxury, art or any other kind of store where the visual part is important. 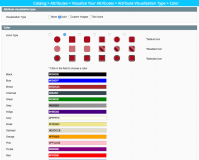 Why Use Product Color Swatches & Visual Attributes? Replace uninformative text attributes with images or icons. Impress your shoppers with stunningly visual navigation. Use Color Swatch in older versions of Magento, starting with 1.4.2.x. A picture is worth a thousand words and there are multiple reasons why people prefer visual content to plain text. Using relevant images and icons on your product pages, you make them way more informative and visually appealing to visitors, ultimately contributing to a higher conversion rates. Since beautiful icons and high-quality images are perceived better by site visitors, they become one of the small, yet highly important details that create the general impression of an ecommerce website and impact the shopping experience. With nice and clear visualizations, customers will definitely enjoy the shopping process more, while you will steadily increase your revenue. With information-carrying illustrations, the process of choosing the required product configuration becomes easy and fast. Instead of reading out the available options, customers will instantly choose the required color, pattern, size and other parameters and add the product to cart in no time. Replace boring text with super-visual images. Replace textual attributes with respective colors. Replace textual attributes with icons - great for showing size, volume, etc. 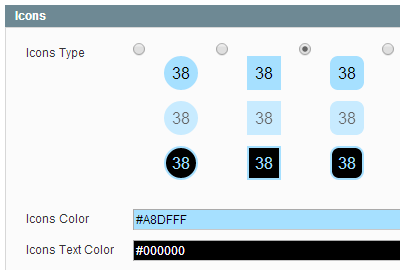 Create color swatches automatically (even in Magento 1.4.2.x and higher). 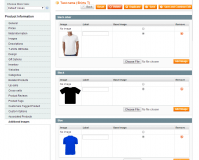 Visualize attributes on Magento product pages. 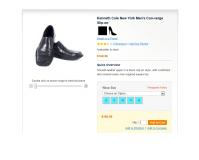 Visualize product attributes in Magento catalogs and filters. Visualize options in layered navigation (included in Layered Navigation Pro). 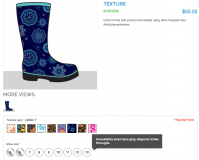 Replace product images with color swatches for configurable products. Make icons act as dropdown menu items for configurable products. Color and Text Icons are CSS-defined and can change style if the icon’s status changes. 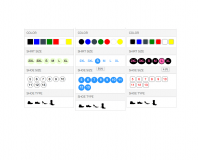 Included are six sets of CSS icons for color and text swatches. Icons can be uploaded for every option of single-select and multi-select (dropdown) attributes. Get better control of attributes visualization in layered navigation. Admin can add, replace or delete icons. Magento Web-2-Print Product Designer plugin – Allow buyers to personalize your products with pictures, clip-arts and text objects. Upload a gallery of images and fonts to choose from, select any number of customizable areas, and change the prices of custom-designed goods. Custom Product Options extension for Magento – Create templates with custom product options and reuse them whenever needed. Set specific dependencies between options and values and assign multiple products to any existing template at one go. 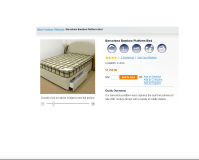 Magento Quantity Increments Buttons module – Set up custom measurements and allow visitors to select units and quantities via usability elements like dropdown lists, plus/minus buttons and others. Magento Configurable Product plugin – Automate the process of creating simple associated products for configurable goods. Generate new simple associated products leveraging multiple product attributes and manage them in a separate table. Magento Grouped Product Options module – Provide customers with the opportunity to select the necessary modifications of products in groups. Create and edit new product groups and assign custom attributes for any item included into a group. + The extension is compatible with Magento 1.9.3.1 / SUPEE-8788 patch. + The extension is compatible with Magento 1.9.3 / SUPEE-8788 patch. * Fixed the issue with uploading "additional image". 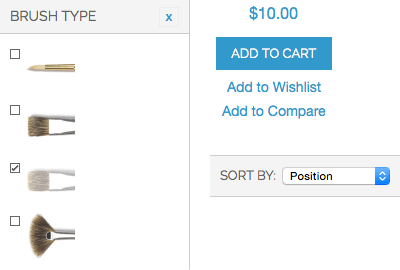 * Fixed the issue with editing options after returning from the cart to the product page. * Fixed an issue with adding attribute value to attribute label when using dropdown select. 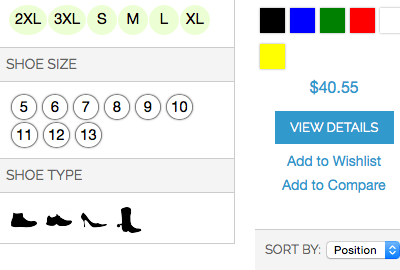 * CSS fix to display custom image type visualizations on product list properly. 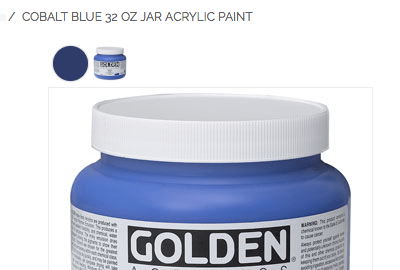 * Fixed the issue with incorrect functionality on a product page when selecting color swatch without additional images uploaded. 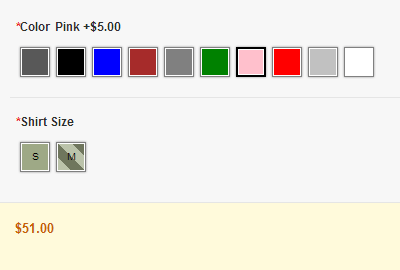 * Fixed the issue with incorrect color swatch functionality when no additional images are uploaded for a product. 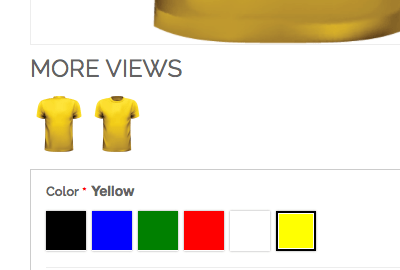 * Fixed the issue with displaying color swatch on product page in Italian and other languages with special symbols. * Fixed the issue with displaying color swatch on product page in French locale. * Fixed compatibility issues with Layered Navigation Pro (v 2.5.11+). 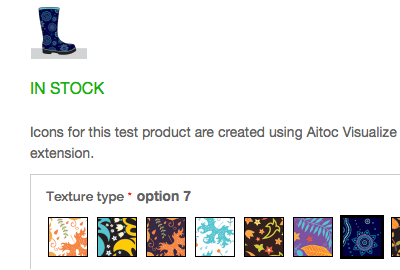 * Fixed the bug with product gallery not changed after clicking on color swatch (Ultimo theme 1.10+). * Code optimization for additional images. * Compatibility fix with Ultimo theme (1.5.8+). * Fixed the issue with pallete on Visulize Your Attributes page when Merge JS files is enabled. 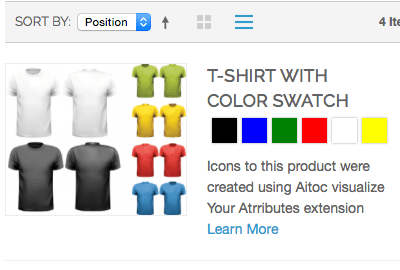 + Now compatible with AITOC’s Custom Product Preview extension ver. 4.1.0 and higher. 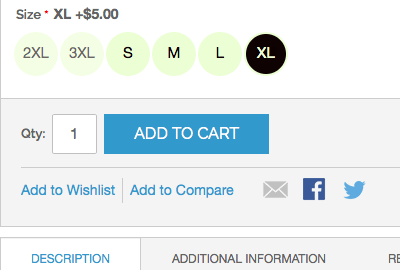 * Fixed the issue with product image not changed (option selected with Color Swatch) in the cart. Easy to set-up and customize attributes. Add my own icons, works perfect. Thanks, guys! Worked out of the box, haven't encountered any issues. With this extension we have solved many problems and speeds up the buying process for our customers. The support of AITOC is phenomenal and responding in less than 2 hours. What can I say ! Rely on this team of experts , you will not regret . Highly recommended ! Hi, i am wondering is it available to use same image for all products which have same attributes? like manufactures, certificate yes/no etc... 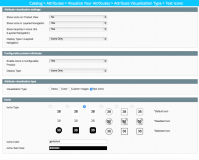 Reply from AITOC: The same image for each attribute value will be used for all the products if this value is chosen for the product. Please don't use the Review tab to ask questions about products. It's best to use the Support tab, Thank you. Great so far, just purchased ten minutes ago, and already up and running.